The award winning photographer specializes in capturing the beauty of architecture, food and people. In addition to being an artist behind the lens, Jill has published thirteen absolutely marvelous hand crafted photography books on architecture and design. 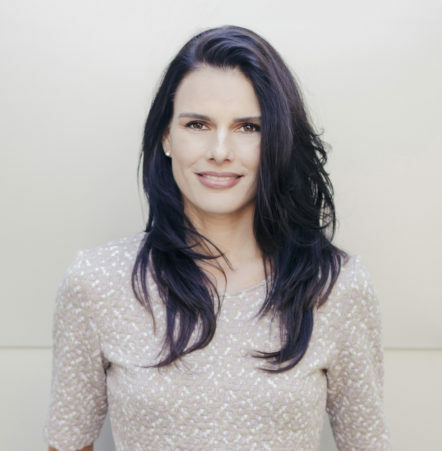 A curious and passionate traveler, she has visited over 100 countries on and off assignment. As a birthday treat to herself, Jill recently traveled from her home base in Santa Monica, California to the exotic beaches of Fiji. I am a minimalist packer (usually carry-on only). I’m a photographer by profession, so most travel I do has a business aspect to it. I love researching the latest and greatest places and enjoy eco-luxury accommodations that give you a full sense of the destination. I cannot think of a better birthday setting than lounging on an exotic beach with good friends – What made you choose Fiji? Fiji had been on the list for quite awhile. It seemed like the perfect place for relaxation and relatively easy to get to from Los Angeles, with direct flights available daily. We stayed at one of the four private beachfront villas at the Maui Palms Resort, located in Maui Bay on the Coral Coast. This was a particularly stunning setting as the reef goes out about 200 ft before you hit the ocean break. You can kayak and snorkel for days around the area. It’s very tranquil and even better than pictures would have you believe. We also stayed at The Vomo Island Resort for a few nights where we visited Natadola beach and enjoyed the beaches around Vomo island. What are the main activities there? In Fiji, you are spoiled by choices. It is truly a water sport haven. 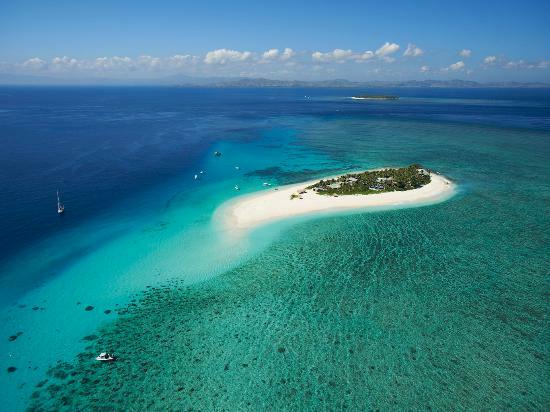 Fiji is particularly great for kayaking, stand-up paddle boarding, snorkeling, fishing, boating and swimming. We took advantage of all the above. What are the top 3 must do’s in Fiji? It’s very tough to pick favorites here. For me, being on the water (in the catamaran, SUP and kayak) and seeing Fiji from above in the air were the highlights. I also loved trekking through the Sigatoka Sand Dunes. It was hard to relax AND get all of our activities in. We spent two days on Vomo Island which were absolutely fabulous. We took a seaplane from Nadi airport directly to the island, where a water taxi picked us up and brought us to shore. Seeing Fiji by air is a definite must. 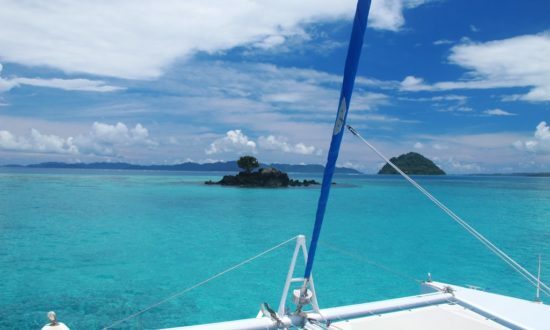 There are so many islands and the water surrounding them is a gorgeous turquoise color and crystal clear. It gives you a sense of space and place that’s otherwise hard to visualize. Once on the island, we were spoiled with gourmet 3-course meals and kayaks, snorkels and paddle boards ready at hand. Vomo Island has a sunset bar, Rocks, where everyone goes for the last two hours of the day for cocktails and hors d’oeuvres to watch the sun go down. Sailing on a racing catamaran was divine! We sailed out to Malomalo Island and snorkeled and fished a couple hundred feet off the island. A new luxury resort, the Six Senses Residences, is being built on the island itself, scheduled to open later this year. We had a sneak peak at that and an opportunity to walk around the island. The food in Fiji was delicious, heavily influenced by the sea and India, with an array of interesting curries and spices. Taro and cassava are found in many local dishes. We had kokada, a ceviche-like dish made with raw mahi-mahi, coconut milk and fresh citrus juice. Another island favorite is a delicacy called ‘lovo,’ meaning ‘feast cooked in the earth.’ An underground oven is dug into the ground and lined with coconut husks which are lit on fire and covered by stones. Fish, meat and vegetables are then wrapped in banana and taro leaves and covered with dirt. It’s a slow cooking method that typically takes 2-3 hours. What’s up next on your travel list? I have a very long list. Next up is Ecuador in August. After that, my heart belongs to Africa. I’m dying to visit Kenya, Tanzania and Botswana.